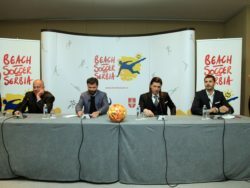 Serbia beach football national team has its first ever head coach. It is Dejan Knežević, our most successful futsal tactician, which has been crowned the national champion six times, while since 2007 he has been an assistant coach of futsal national team head coach Aca Kovačević. There is a lot of work ahead of Knežević, since he needs to bring together and select the team for the first appearance of our national team at international stage. What is known is the fact that Knežević will be able to count on two former Crvena zvezda captains Dejan Milovanović and Nikola Mijailović, as well as the Serbia futsal national team captain Marko Perić and backup goalkeeper Nemanja Momčilović. 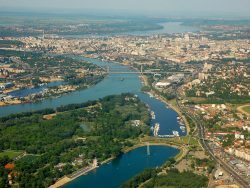 Since 20 May there will be selection practices at the courts of former hospitality facility Shark at Ada Ciganlija. They will last seven days, during which 12 players, that will compose our national team will be selected. During this process, head coach Knežević will have a support by his assistant Dejan Ristić, who used to work in the youth categories of Crvena zvezda, Žarkovo and Voždovac. 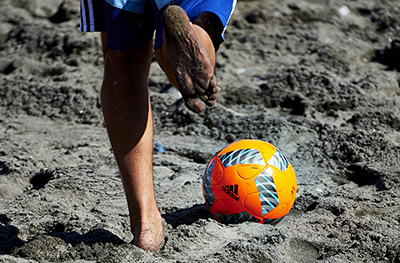 The The expert consultant of our team, that will in a vast extent help in determining the methodology of practices for the beach football, will be Dejan Stanković, current Swiss national team player, that has a long experience in this sport. The physiotherapist of our national team is Dragan Ristović, who does the same job also for our futsal national team.